Delhi is distant and those governing the nation from Delhi perhaps do not know that the attempt to amend the Citizenship Act in order to legitimize illegal migrants belonging to the Hindu and some other religious communities (excluding only the Muslims) has touched a raw nerve of the sons of the soil of Assam. They are dealing with a wounded psyche. To trace the origin of the wounded psyche of a people at a far eastern corner of India, I need to look back to a time when Assam changed its political character from being a kingdom under an eastern royalty to being a part of a colonial empire ruled by a western power through which it stepped into political modernity. This change of destiny yoked it to an India which was already midway through the same fate. Its modernity continued to lag behind the other parts of the country but unmindful of the lag, it joined the freedom struggle hoping for a better future and thus it chose a destiny to be a part of a modern independent nation emerging from a colonial state. The people of this region had no hesitation in joining the Independence movement as part of an aspiring nation. Before the British intervention, the people living in the present area of geographical Assam felt happy to remain in medieval idleness of slow and contented pace of socio-economic life, being rather proud of an identity distinctly different from the people living in its western neighbourhood. A major part of Assam was ruled by the Ahom kings since mediaeval time except a territory in the western part of geographical Assam ruled by the Koch kings. The Koch kingdom splintered much before the British occupation but the Ahom kingdom retained its integrity more or less till the Burmese invasion and subsequent annexation by the British in 1826 that eventually led to its political integration with British India. The people tracing ancestry to different ethnic origins in Assam continued to maintain their linguistic and cultural identities during the change of regime from the Ahom power through the British power to the Independent republic. The super-positioning of a notion of one nation with India did not, however, fully obliterate it’s consciousness of being a distinct people. The most numerous linguistic-cultural community in the British ruled Assam was the Assamese and their sense of homogeneity has been governed by a shared language and culture. The flow of people from outside started from the advent of the British. They brought the Bengali babus for clerical and teaching jobs, and the indentured labour from Bengal, Chotanagpur, Odisha and some other parts of India for the tea gardens. They encouraged settlement of peasants from East Bengal opening up vast waste land for them. Such migration was followed by many people from Bihar and Rajasthan who came in search of business and occupational opportunities. Except for the tea-garden community composed of people of different ancestry willingly merging and being accepted as a part of the Assamese, all other kinds of migrants remained ‘bahiragata‘ (the outsiders) with a psychological difference of otherness. When parliamentary democracy was established after the independence of India, bahiragatas started playing a role in Assam’s vote bank politics. With the formation of Pakistan, and later Bangladesh, migration of the people of Bengali origin, both Hindus and Muslims, who continued coming to Assam in large numbers became an unfortunate factor of voting politics and their socio-political interests caused complicated socio-economic and political tensions with the indigenous people. The conflict of interest became more pronounced between the indigenous Assamese and the illegal migrants patronized by vested interests. The political scene in the region is multicultural and is of multi-ethnicity. The difference has been that the subjects of the Ahom rulers came from diverse ethnic origin but assimilated linguistically and culturally as Assamese. Demographic pressure from the migrants. The Assamese community received it’s first psychological wound under the British regime. Assamese language got replaced by Bengali in official communications and in education due to a mistaken notion by the British rulers fueled by the babu‘s in the administration that Assamese was a dialect of Bengali, only to be restored at the determined intervention of the American Baptist missionaries coming for proselytizing and of Ananda Ram Dhekial Phukan, an educated Assamese visionary. This sensitivity never evaporated from their mind. In independent India the people of this region became discontented against the background of underdevelopment, geographical seclusion and invasive and illegal migration from across the border. The Delhi regime’s indifference to the developmental need of the State and it’s negligence to handle migration-related complications continually increased the sense of otherness in the psychological map of the people even though the process of democratic consolidation with India was still taking place. By the sixties of the 20th century, the proto-nationalistic patriotism for ‘mother Assam’ began to be politically expressed as ‘Axomiya jatiyotavad‘ (which was earlier expressed in respect of Assamese language) and it drew it’s reasoning from the historical fact that Assam was politically independent from the rest of India before the British occupation. The hurt feeling that the political regimes in Delhi were treating the people of Assam as lesser citizens had its genesis in the region’s sluggish economic development. Against this psychological background, illegal migration became a highly volatile issue, particularly because vote bank politics was played by political parties. In a geographically isolated region, the sense of nation suffered a psychological division between Assamese-ness and Indian-ness, first among the Assamese middle class and later among the masses. This feeling accentuated when the Centre failed to properly respond to the issue of illegal migration from across the border that affected the population ratio to the disadvantage of the native population. In a narrow economic space, not only the Assamese community but also other indigenous communities pursuing their need-based goal felt that their space was being invaded by others, not only from the other parts of the country but by illegal migrants from Bangladesh unfortunately nursed by political parties as vote banks without bothering for the economic and political fate of the indigenous people. This perceived lack of concern allowed sub-nationalism to become more assertive. In this background, Assam agitation happened. The demand for expulsion of illegal migrants had a subtext of grievances against the Centre concerning the issue of unaddressed and neglected developmental needs. Assam Agitation (1979-1985) was organized as a mass agitation, not as a secessionist one as many started painting then, and it’s focus has been to prevent fast changing demographic character. It was also a kind of identity-assertion and a psychological defense mechanism. The Assamese community sought a rightful place in the Indian polity but found themselves almost reduced to a non-player because of the region’s distance from the Centre, whose power-elite failed to read the psychological reasons behind the agitation. Later, the Centre’s insensitive handling of the problem as simply an issue of law and order led a section of desperately-minded youths to take the path of insurgency but fortunately for the Indian state it’s support base has remained scattered till now. Most people felt allegiance for the Indian Constitution though highly aggrieved at the insensitivity of the Delhi’s power elite towards solving the problem of illegal migration. Not only the Assamese, but all indigenous communities of Assam even now feel that the migrants, whether Hindus or Muslims, are used by different ruling political parties at the Centre as vote banks according to their political ideology . The indigenous people, particularly the Assamese, have a fear that they will be reduced to a minority in their native land and the State’s political authority will slip into the hands of the people from outside, particularly the Bengali speakers, while the national political parties will continue to be motivated by party interest unmindful of the fate of Assam’s indigenous communities. This psychological state remains not only unaddressed but ignored. The six-year long Assam Agitation from 1979 to 1985 ended in the Assam Accord with the stipulation that illegal migrants who entered Assam before March 25, 1971 would be allowed to stay in India and would be given citizenship except that those who came between 1966 and 1971 would have no voting rights for a limited period of 10 years. Illegal migrants coming on or after March 25, 1971 will be detected and deported. There was objection to this clause from various quarters initially but during the nineties of the last century all stakeholders accepted this clause. Updating of the National Register of Citizens (NRC) prepared for Assam in 1951 census against continuous migration pressure was a necessary corollary that followed. After a lot of dilly-dallying and only after the issue was taken up with the Supreme Court by some stakeholders, the NRC is now under process of upgrading from 2016, being supervised by the Supreme Court. Assam Accord ensured that the issue did not become a serious wound in the Assamese mind. The scenario changed as soon as BJP came to power. It is playing it’s Hindutva card assuming responsibilities for the Hindus of the neighbouring countries, thus extending Hindutva beyond the border. The Citizenship (Amendment) Bill, 2016 passed in Lok Sabha against stiff opposition from all indigenous people of Assam and also other north-eastern states is designed to give citizenship to all illegal migrants belonging to religious minority communities of three neighbouring countries coming here up to 2014, particularly of Bangladesh, and has dealt a serious blow to the psyche of the indigenous people of Assam. BJP is unmindful of its effect on demographic destabilization that will eventually reduce the indigenous people into minorities in their native land. The population of the indigenous communities of Assam is getting successively reduced in percentage points. The recently published community-wise Census data of 2011 is an eye opener. 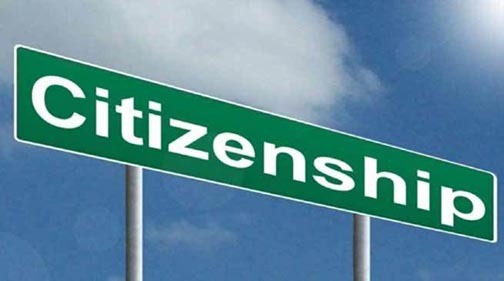 The amended Citizenship Act not only violates secular character of the Indian Constitution as it discriminates against one religious community in favour of some others but it has opened up a serious wound in the sensitive Assamese mind. A perception has overtaken the Assamese people that BJP has sacrificed their future at the altar of Hindutva. But little does the BJP care for secularism enshrined in the Constitution or for a linguistic-cultural community which is not it’s vote bank. The ruling party prompted by RSS has embarked on an agenda to convert India into a Hindu Rastra, even if it subverts the Indian Constitution. But Assam is boiling. There is even cry for Independence among a section of the youths. It’s number is growing. The ULFA is attracting new entrants. The call for Independence is a desperate cry issuing from emotional sub-nationalist core. This is dangerous and will lead to a chaotic situation in a multi-ethnic, multi-linguistic and multicultural region. The struggle has to be by constitutional means. The people of this region sacrificed enough for the cause of Indian independence, and by giving the region’s resources and human labour for the country with little gain for themselves. It must be adequately compensated by the State. The people here have all the political rights that cannot be taken away by a party motivated by a single agenda. These rights must be used and BJP’s anti-secular agenda must be defeated by means of constitutional struggle.